Enter UCT at Southern end of Rugby grounds. 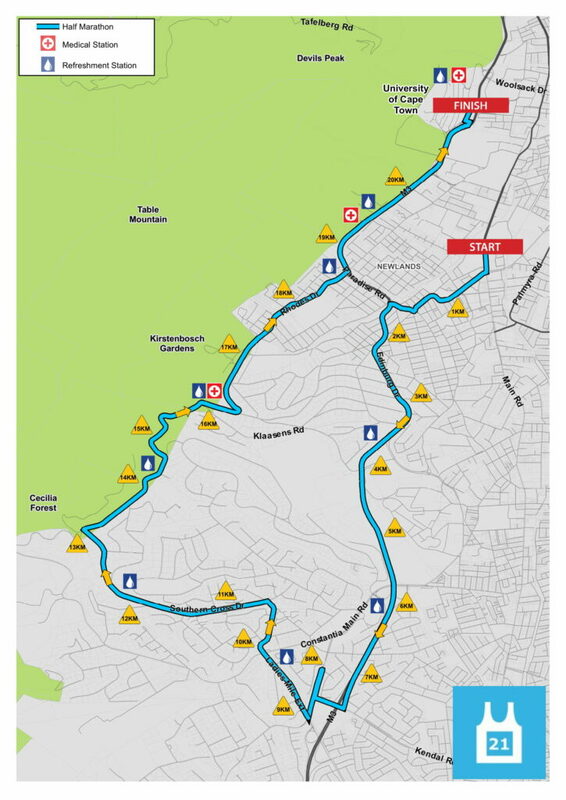 From the start runners will occupy the full width of the Main Road until Protea Road where the 21 km runners will be turned right. Please obey all marshals and traffic authorities. The first 500 runners will take precedence over motor vehicles during the race; thereafter runners may be stopped by marshals at busy intersections. Marshals and traffic authorities must be obeyed, failing which you may be disqualified and disciplinary action taken.